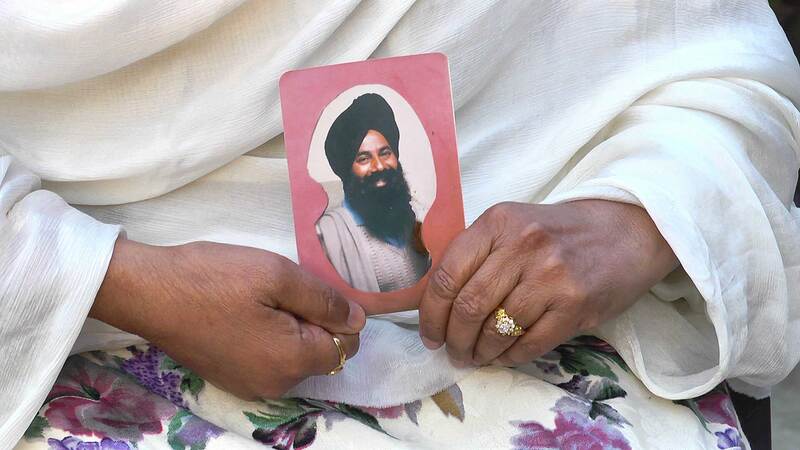 Learn more about Kuljit Singh Dhatt and his family's fight for justice through videos, a photo essay, and an interactive timeline. On July 23, 1989, around 8:30 a.m., Punjab policemen, led by then Deputy Superintendent of Police (DSP) Ajit Singh Sandhu, abducted Kuljit Singh Dhatt, Gurmel Singh, Surjit Singh, and other individuals from Gurmel Singh’s house in village Garhi. The police party also included Station House Officer (SHO) Jaspal Singh of Dasuya, SHO Sardool Singh of Tanda, and Sub-Inspector Sita Ram, in charge of the police post in Gardiwala. Kuljit Singh had stopped at Gurmel Singh’s house, while on the way to the Bhogpur Sugar Mill, with Piara Singh. Police placed Kuljit Singh and Davinder Singh in one car, and other detainees in a second car. At Dasuya police station, the police detained Kuljit Singh and Davinder Singh in one room together. As eyewitness Surjit Singh recounted to Ensaaf, “They tortured Kuljit Singh and Davinder Singh. We could hear the sounds of their cries and screams…From that day until now, we have not seen Kuljit.” The police later released Gurmel Singh and the others in the evening, but did not release Kuljit Singh. After witnessing the illegal abduction, Piara Singh informed Harbhajan Singh Dhatt, Kuljit Singh’s older brother, about the abduction. Harbhajan Singh then approached the local police stations with family and friends, seeking his brother’s release. Harbhajan Singh Dhatt told Ensaaf that, on July 23, 1989, at police station Gardiwala, DSP Ajit Sandhu told him, “We have let the rest go. We have done with Kuljit Singh, what we wanted to do.” Sandhu further stated to Harbhajan Singh, “We aren’t going to return the body. Do what you want.” When the family turned to Superintendent of Police (Operations) (SP(O)) SPS Basra, Basra said, “Did you not understand what Ajit Singh said?” The police repeated these admissions to Harbhajan Singh at a subsequent meeting on July 29. At this point, the police give two versions of events. In one version, recorded in First Information Report (FIR) No. 78, a police constable began digging in the sand for the weapons, but then Kuljit Singh ripped away his handcuffs, which were linked to the belt of a different constable, and, while still handcuffed, jumped into the river and escaped. In the second version, stated in affidavits submitted before the Supreme Court by police officers DSP Ajit Sandhu and SI Sita Ram (dated Nov. 4, 1989), Kuljit Singh himself started digging in the sand while handcuffed, and then ripped his handcuffs from the belt of a policeman and disappeared into the river. The judicial commission report, discussed below, and forensics analysis later demonstrated that the police had overwritten and cut out sections of police records in order to support their fabricated story. For example, in the sheet attached to FIR No. 143 of July 19, 1989, regarding the murder of Iqbal Singh, the dates of certain records were changed from September 12 and September 17, 1989 to July 26 and July 27, 1989, to correspond with the dates of Kuljit Singh’s alleged arrest and escape. Further, among other differences noted, the Daily Diary Reports had no information on the loss of the handcuffs or chain, the number of the handcuff key, or the failure to deposit the key, as required by police regulations. The police officials accused of abducting, torturing, and killing Kuljit Singh Dhatt included then DSP Ajit Singh Sandhu, SHO Jaspal Singh, SHO Sardool Singh, SI Sita Ram, and SP(O) SPS Basra. Two of these police officials were implicated in the abduction, torture, and murder of human rights defender Jaswant Singh Khalra, six years later in fall 1995. By then SSP, Ajit S. Sandhu allegedly committed suicide before standing trial in either case. Jaspal Singh was convicted in the Khalra case in 2005. In their filings before the Supreme Court, the Dhatt family attached a judgment against Ajit Sandhu, demonstrating a prior conviction for handcuffing a police officer, and an anticipatory bail application in an assault case. They also included affidavits by family members who attributed their loved one’s disappearance to SHO Sardool Singh and DSP Sandhu. The judicial commission report and forensics analysis demonstrated that the police had fabricated records. 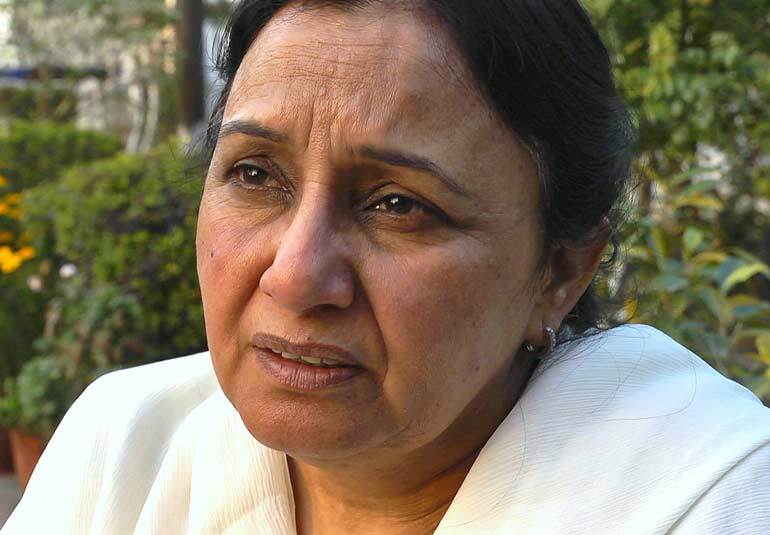 On September 11, 1989, after appeals to government officials fell on deaf ears, Parkash Kaur and Gurmeet Kaur filed a habeas corpus petition with the Supreme Court, calling for an inquiry by a "high judicial authority" and the suspension of the accused police officers till after the inquiry report was submitted. On March 30, 1990, the Supreme Court ordered the Punjab & Haryana High Court to appoint a retired Sessions Judge as a Commissioner of the Supreme Court, charged with conducting an inquiry into Dhatt’s disappearance. The Supreme Court ordered the Commission to complete its inquiry in three months. It was almost two years before the Commission, led by Justice H.L. Randev, could begin its inquiry. At the first hearing, the Dhatt family recounted instances of police harassment and the Commissioner requested the transfer of the police officials to non-operational posts outside of the district. The petitioners had described how the accused police officials were threatening their lives if they did not withdraw from the inquiry. The police contested this issue repeatedly before the Commission—taking 35 hearings in eight months, according to a January 1991 affidavit filed by Harbhajan Singh—and then before the Supreme Court. In November 1991, the Supreme Court directed the Commission to proceed after the Additional Solicitor General reported that the accused officers had been transferred, although to operational posts. The Commission began collecting evidence in January 1992. In October 1993, Justice H.L. Randev submitted his report, implicating five police officials in the unlawful killing of Kuljit Singh Dhatt: namely Ajit S. Sandhu (who committed suicide in 1997, after serving as Senior Superintendent of Police), Jaspal Singh (in life imprisonment for murdering human rights activist Jaswant Singh Khalra), Sardool Singh (who died in 2008), SPS Basra (who retired in late 2013 as Deputy Inspector General), and Sita Ram. In May 1996, the state of Punjab informed the Supreme Court that another First Information Report, No. 81, dated May 5, 1996, had been registered and the investigation entrusted to DIG JP Birdi. The three officers still in service, SPS Basra, Ajit S. Sandhu, and Jaspal Singh, had been suspended. Sita Ram was in judicial custody for another case, and Sardool Singh had retired. On November 29, 1996, Harbhajan Singh Dhatt, the elder brother of Kuljit Singh Dhatt, informed the Supreme Court in an affidavit that the DIG’s chargesheet did not include the charge of Section 364 (kidnapping or abducting with intent to murder) from the Indian Penal Code, whereas the FIR had been registered under that section. Instead, the chargesheet had the lesser charge of Section 365 (kidnapping or abducting with intent to secretly and wrongfully confine the person), which carried a maximum sentence of seven years compared to the maximum sentence of life imprisonment under Section 364. Further, the family pointed out that the DIG had failed to identify additional accused. In response, in August 1997, the family filed an application under Section 319 of the Criminal Procedure Code for summoning additional accused. The sessions court allowed the summoning of the accused, but the accused appealed to the High Court and the application has since been stayed there. The DIG failed to question any of the accused police officers or members of the alleged police team that went for recovery of weapons, and thus conducted an incomplete and partial investigation. The Supreme Court ordered the registration of a case in 1996, and the five police officials named in Randev’s report were arrested, but later released on bail. The Punjab government granted prosecution sanction. In April 1998, the Additional Sessions Judge, Hoshiarpur, framed charges against the accused under Section 364 (kidnapping or abducting in order to murder), 120-B (criminal conspiracy), 466 (forgery of record of Court or of public register), 218 (public servant fabricating record to save person from punishment) and 201 (causing disappearance of evidence of offence or giving false information to screen offender) of the Indian Penal Code (IPC). Before witnesses could begin their testimony, on April 15, 1998, the accused appealed the sanction, stating that Punjab had been under the Punjab Disturbed Areas Act, and only the Central government could grant sanction, not the Punjab state government, in order for a trial to proceed against the police officers. Under the law, however, sanction was not needed by either government, since the police officials committed crimes that were not recognized as part of their official duties. Nevertheless, the High Court stayed the trial for 14 years, ultimately ruling that the trial could move forward. The High Court stayed the trial for 14 years. After the witnesses completed their testimony in March 2014, the judge who heard their testimony was transferred from the case in April 2014. A new judge then heard the oral arguments and gave her judgment on May 9, 2014. The police harassed family members, their supporters, eyewitnesses, and people who worked for the family. Throughout the case, the police harassed family members, their supporters, eyewitnesses, and people who worked for the family, according to Gurmeet Kaur and Harbhajan Singh. Gurmeet Kaur told Ensaaf how the police blocked roads leading to the house during Kuljit Singh’s religious last rites. The police also registered false criminal cases against Harbhajan Singh Dhatt. The Commission and the police spent almost two years litigating the issue of police transfers, ordered by the Commissioner because of family affidavits describing police harassment. On January 12, 1993, the police illegally detained Harbahaj Singh Dhatt. As a massive protest began outside the police station, the police could not move anyone inside or outside of the police station, and later released Dhatt. In January 1997, Harbhajan Singh Dhatt filed an affidavit before the Supreme Court to place on record developments after its December 16, 1996 order. In the affidavit, he mentioned anonymous calls made to himself and Gurmeet Kaur threatening them with the same fate meted out to Kuljit Singh if they continued to pursue this case. 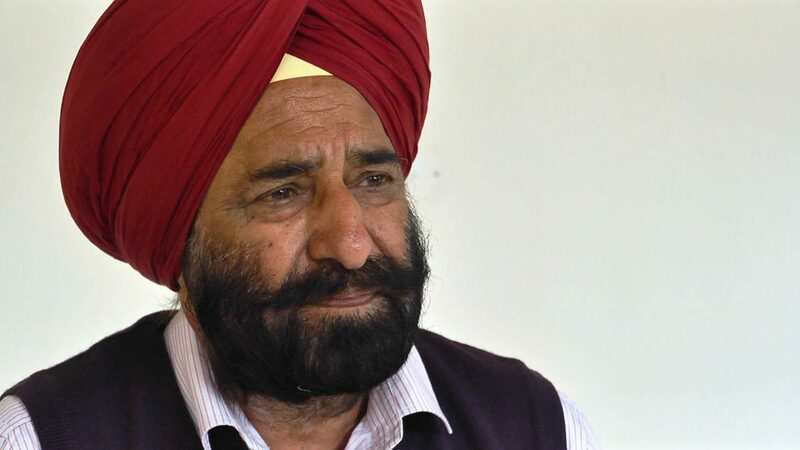 He recounted how on January 10, when the accused were to appear in the Court of the Sub-Judge in Dasuya, Ajit Singh Sandhu openly threatened Harbhajan Singh Dhatt with dire consequences if he continued to pursue the case. Ajit Singh further blocked the entrance to the Court till the Sub-Judge intervened. In his trial testimony, eyewitness Gurmel Singh stated that SI Sita Ram came to him while he was at the civil courts handling personal work. Sita Ram intimidated Gurmel Singh into signing blank papers and left. He denied the contents of affidavits produced before him during cross-examination, saying he did not know the attorneys who attested them and repeated that SI Sita Ram had procured his signature on blank papers. After almost 25 years, the Sessions Judge convicted the three living police officials of abduction with intent to murder Kuljit Singh Dhatt. During the trial, the petitioners presented 18 witnesses and the defense presentedone witness. On May 9, 2014, after almost 25 years, Additional Sessions Judge of Hoshiarpur Poonam R. Joshi convicted the three living police officers of abduction with intent to murder Kuljit Singh Dhatt. Additional Sessions Judge Joshi convicted SPS Basra, Jaspal Singh, and Sita Ram under sections 364 (kidnapping or abducting in order to murder), 120-B (criminal coanspiracy) and 218 (public servant fabricating record to save person from punishment) of the Indian Penal Code. She acquitted them under Sections 466 and 201 of the IPC, however. Four hours after announcing her verdict, the judge issued a disappointing ruling on their sentences. Their convictions carry concurrent sentences of five years, three years and two years, plus a fine. The Dhatt family has appealed the sentences. The Dhatt family is also pursuing two related cases to bring other accused to trial and enhance the charge against all of the accused to IPC 302 (murder).